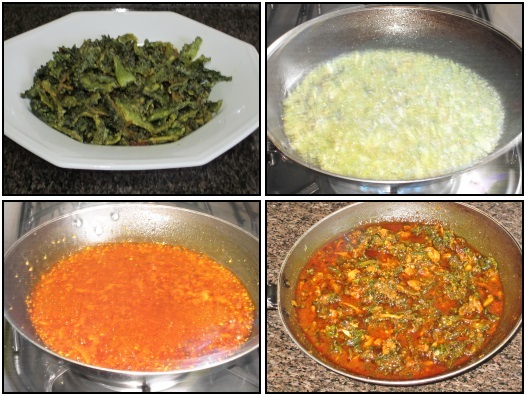 Karela is a vegetable with lot of health benefits. Do not throw away the peels when you make curry.. There are many ways of putting them to use. Today I have made a pickle with the peels. I had about 3 cups of peels and the recipe is according to it. You may adjust the ingredients as per the quantity you make. Coriander seeds .. 1 tbsp. Methi seeds ....... 1 tsp. 1. 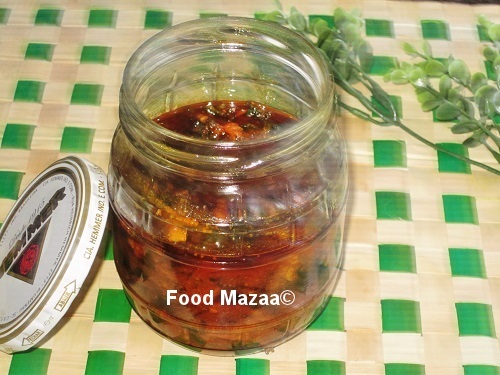 Heat oil in a frying pan and deep fry the karela peels. ( the pickle stays longer when you fry and use them) Drain them and set aside. 2. In a different pan heat half cup oil and add the mustard seeds and asafoetida. 3. When they crackle, add the ginger and garlic and saute for a minute. 4. Now ad the roasted and ground masala powder and turmeric powder. 5. Check the salt, add if needed because the peels are already salted. 6. Stir in the vinegar and the peels. Mix well. 7. Remove from the gas and let it cool. 8. Store in a bottle and refrigerate. It stays longer if you add more oil to it. Click on the name to see the recipe. Wish I could taste this pickle now. So yummy and finger licking good pickle. very interesting dear.. never heard about this pickle.. I just made it because I don't like throwing away the peels. love karelas anyway now i can use it for pickle too. delish. hot n spicy pickle making me hungry again. 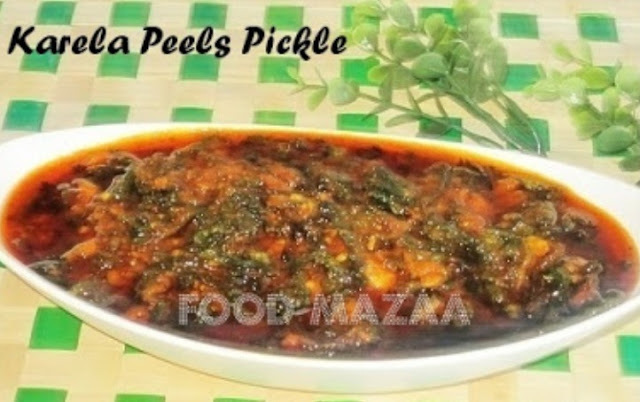 Very innovative , I have never thought you could make pickle with karelas let alone the peel. Quite a new pickle for me, never heard or had this pickle,thanks a ton for sharing with us. Great recipe to include bitter guard in daily meals.